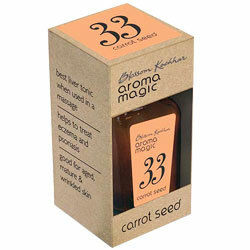 Aromamagic Carrot Seed Oil treat eczema & psosoriasis, good for aged, matured & wrinkled skin. Good for aged, matured and wrinkled skin. Best liver tonic, when used in a massage. Helps to treat eczema and psosoriasis.